You are at:Home»News»Business»Which pork producers are in list of top ‘ethical meat boxes’? Some familiar names in the pig and wider meat sectors have been named in a list of the top 13 ‘ethical’ meat boxes. The list has been compiled by the Independent, which noted that British farming is ‘revered the world over’, partly because of how it uses native breeds, which have ‘evolved naturally to grow strong and healthy on the landscapes on which they are born’. “This type of farming creates the healthiest, most nutritious and best tasting meat,” it said. For example ‘organic and truly free-range pigs are also reared without the routine use of drugs, antibiotics and wormers common in intensive farming’, it added. The articles pointed out that not everybody is lucky enough to live near a farm adopting this sort of approach, which is where the box schemes come in. Among the 13 best ones selected is the taster box (pictured) from Primrose Herd, in Cornwall, winner of the Producer Retailer of the Year Award at the National Pig Awards. “Pork is the speciality of this family run farm that has been keeping traditional breed pigs for more than 20 years,” the article notes. 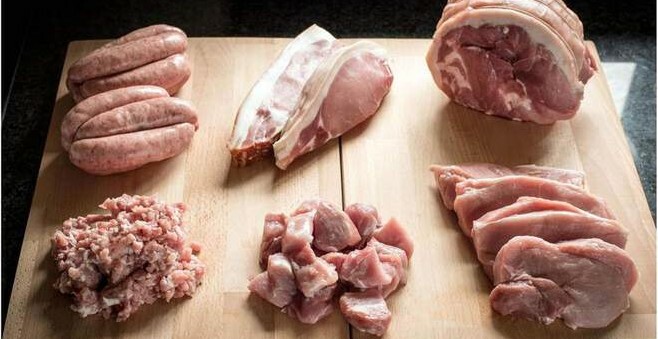 Other companies with pork products in their box on the list include: Pipers Farm, Rosewood Farm, Farmdrop, Abel and Cole, Riverford, Primal Meats, Farmisons, Coombe Farm Organic, Eversfield, Horned Beef Company, Eversfield Organic, Peelham Farm and The Dorset Meat Company.